At Harney Sushi we have always been highly aware of fish fraud and what it means to us as a restaurant, to the environment and to our customers. Fish fraud has always been a problem and one that is generally swept under the rug, not viewed as important or not understood. 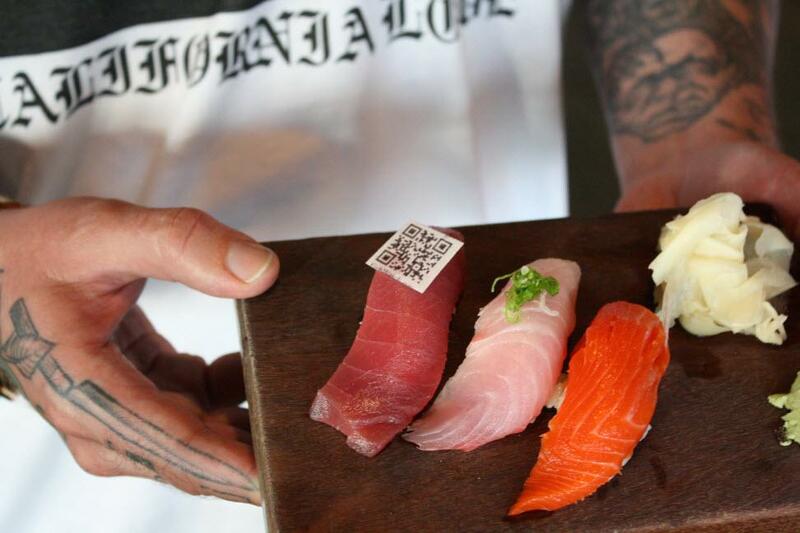 Harney Sushi has been very transparent for many years and we were one of the first restaurants to put eddible QR codes on our sushi. These quick response codes would take you to various web sites like NOAAs www.fishwatch.gov or www.seafoodwatch.gov Monterey Bay Aquariums seafood recommendation and information site, or it would send you directly to the web site of the fisheries that caught the fish. Initially these QR codes were very popular with the media and we were getting a great response but later we found that customers found them to be a nuisance. Food was returned or customers thought we were trying to advertise on the food. We haven’t used them is a while. This thing called Fish Fraud is not new news but sure makes good news when its presented the right way. On December 7th, 2015 the channel 10 news team showed up at the Harney Sushi Old Town location unannounced with cameras and microphones drawn. I happened to be in the restaurant at that time and I was made aware of the discovery of fish fraud at 8 of our San Diego local sushi restaurants, particularly pertaining to non lobster product being served as lobster. Below you can find the video and link to that news story. Now, avoiding fish fraud can be a daunting task for both a consumer and a wholesale purchaser. Its all about being able to trust who your buying from and if they are telling you the truth. Tractability of seafood is a huge problem and there have been some efforts made to improve this problem but the final solution hasn’t been found. In my opinion there needs to be an FDA or USDA or some sort of entity formed to serve as the governing body to trace seafood just like there is for chicken and beef for example. We have spent years working with our purveyors on this subject and demand transparency. Although transparency is the goal with purveyors it doesn’t always happen and its not always the fault of the company delivering the fish. Most fish purveyors carry a variety of fish, some fish that they know where it came from and some mystery fish. So, say we order some Bigeye tuna from Hawaii and the guy filling orders in the morning hasn’t had his coffee yet and sends us mystery fish but the invoice says Bigeye from Hawaii. The next guy to see the fish is one of our head chefs but if his expert trained eye doesn’t find anything out of the ordinary that fish will get served.